Each year, thousands of individuals from the international NGO community around the world participate in Humentum workshops, webinars, and roundtables. 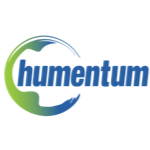 Humentum's learning programs are designed to help you and your organization build capacity, strengthen decision-making, develop more efficient systems, and identify effective solutions to your challenges. With Humentum's expert trainers, multiple delivery platforms, and a variety of credentialing options, we provide more than 150 learning opportunities every year that are practical, engaging, and relevant.